The Sig Sauer P220 Combat Threaded Barrel (TB) is a semi-automatic handgun in the P220 line-up that comes with a threaded barrel to add-on a suppressor. The inner control parts are phosphate coated to prevent jamming after long periods of firing, and corrosion resistance to the inner components as well. 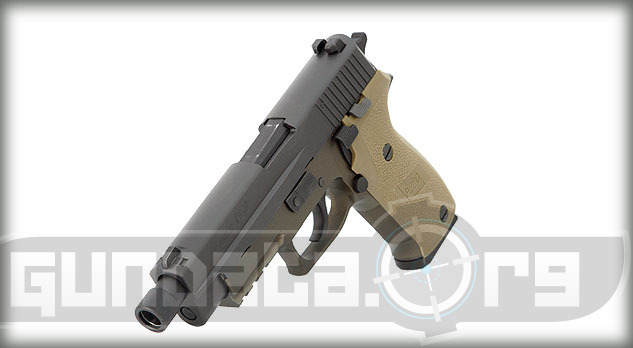 The lower frame is made of alloy, and has a Flat Dark Earth hard coat anodized finish. The slide is made of stainless steel, and has a Black Nitron finish. 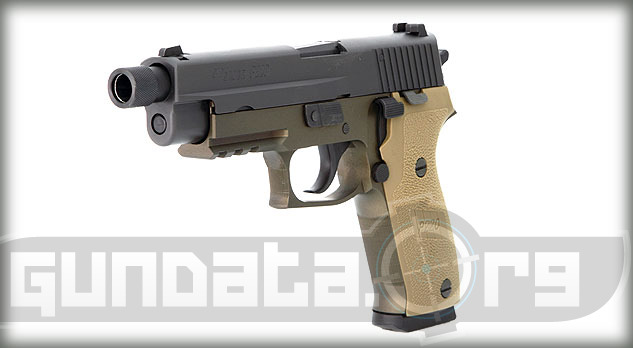 The grips are polymer with front strap serrations, and a flat dark earth finish. 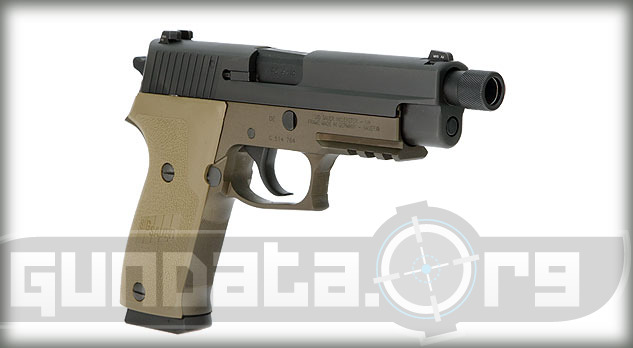 The P220 Combat TB has an overall length of 8.2-inches for the threaded barrel, with a height of 5.5-inches, and a barrel length of 4.9-inches for the threaded barrel. 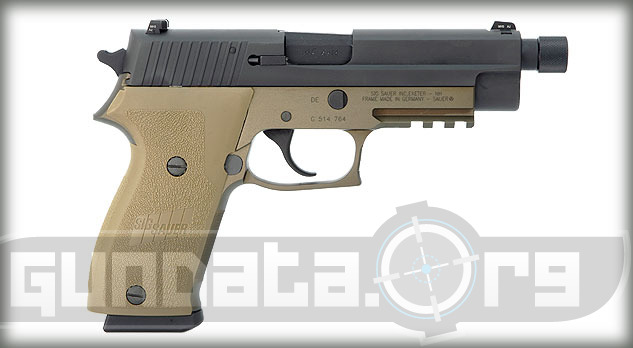 It holds an 8-round magazine of .45 ACP ammunition that can be upgraded to a 10-round single stack clip. The frame has the 4-point safety system, and an integrated M1913 Picatinny accessory rail to allow users to attach a light or mounted scope. The sights are the SigLite 3 white dot night sights. It has a short reset trigger with double and single action. The single action pull is 4.4-pounds, and 10-pounds of pull for the double action.